Below are just a few of the many "Testimonials" we have received from our clients, colleagues, fellow brokers and city officials. Due to circumstances beyond our control, we needed to sell our office building quickly. While contemplating who to use as a broker, my husband checked through his resources. ago. He also recalled that Eric was both professional and knowledgeable. Eric and highly recommended him. We decided to hire Eric. We were not disappointed, as he exceeded all our expectations. We actually received a solid offer within a week of listing! Without divulging the specifics, the sale of the office came during a trying time in our lives. the scope of a client. contact Eric. You will not be disappointed. Ray Moors JOEY’S BAR-B-Q, Inc.
tenants that he deals with. He is highly regarded by those that have worked with him. serving his clients. We need more competent brokers like him! This letter is regarding our appreciation for the fantastic job in selling our commercial property, located at 296 North 2nd Avenue in Upland, CA. The sale of this property involved so many intricate details and challenges. Each challenge you took on and resolved to allow us to sell, not only in a timely manner, you also saved us a considerable amount by referring us to the right professionals. We were so pleased with the aggressive targeted marketing strategy, which gave us multiple offers from the qualified buyers! 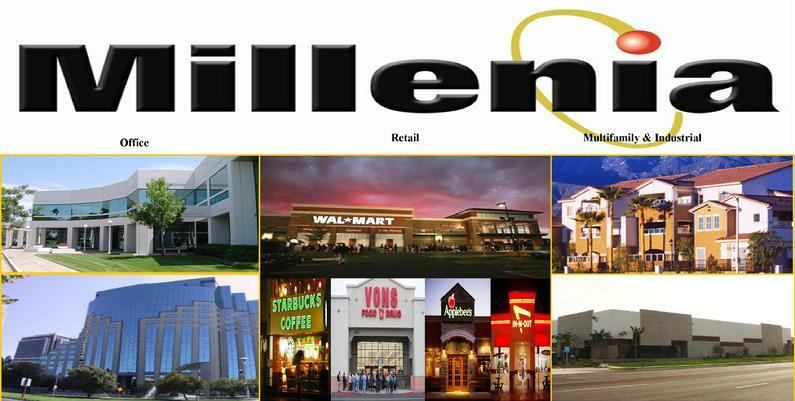 We would highly recommend Millenia Commercial Real Estate for any real estate transaction or for any real estate services! The follow-up and professionalism is second to none! We appreciate your hard work and effort in getting the job done! Owners of Dr. Bob's Ice Cream & Candy, Inc.
talk a good game, but Eric and his team get results”! MGR Real Estate Services Inc.
Professional! Thank you Eric for allowing me to be a part of your team! always a pleasure to work with him and his knowledge of the industry is unsurpassed. relied on Eric's expertise and motivation to facilitate smooth and successful closings. resource to his peers and clients. I would recommend Eric to anyone. maintain professional working relationships with those in his industry.